Salman has 5 consecutive worldwide blockbusters in 2 years and 9 ww blockbusters in 8 years. Whenever you post truth few ** downvote your post without any reason Keep Going! From 22 Dec 2006 to 21 Dec 2007 Akshay gave 5 consecutive Hits.Has any Actor in last 30 Years given 5 Hits in just 12 months? 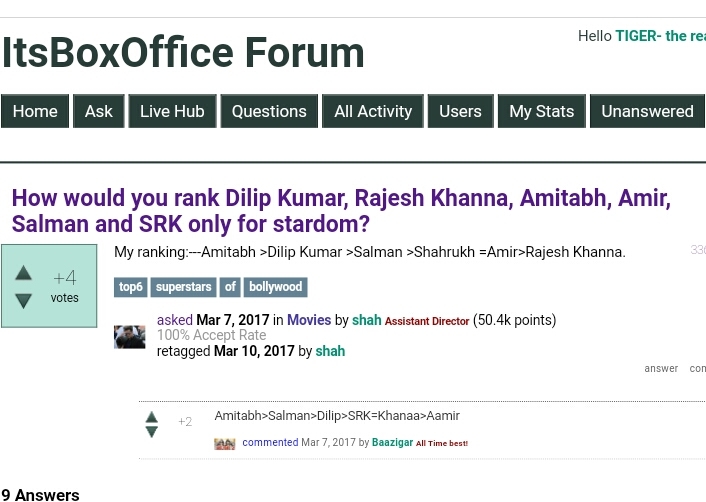 Why except SRK no any Superstar has two consecutive hits currently? Salman has delivered 5 back to back blockbusters. Is there any other star who delivers even 5 consecutive Superhits?? ?